Carpet is just one of those topics, there is SO much to know and my clients often have no idea where to start so we thought it would be helpful to sit down with the experts at Signature Floors with all of the main questions clients need to be aware of when selecting carpet! What are the main differences between SDN and wool carpets? Wool is a natural fibre, literally off the sheep's back and SDN is Solution Dyed Nylon, a technological breakthrough in nylon carpet manufacture. SDN is nylon fibre that is the same colour all the way through, providing a colour fast and stain proof carpet which is ideal for busy households. Unlike traditional dyeing methods, where the outside of the fibre carries the colour and is subject to fade, SDN will not. It's extremely hard wearing and can be used in both high traffic areas and near windows with sun exposure. SDN is an extremely easy carpet to live with. Not all SDN carpets are the same - look for softness, dense pile and on trend colours. 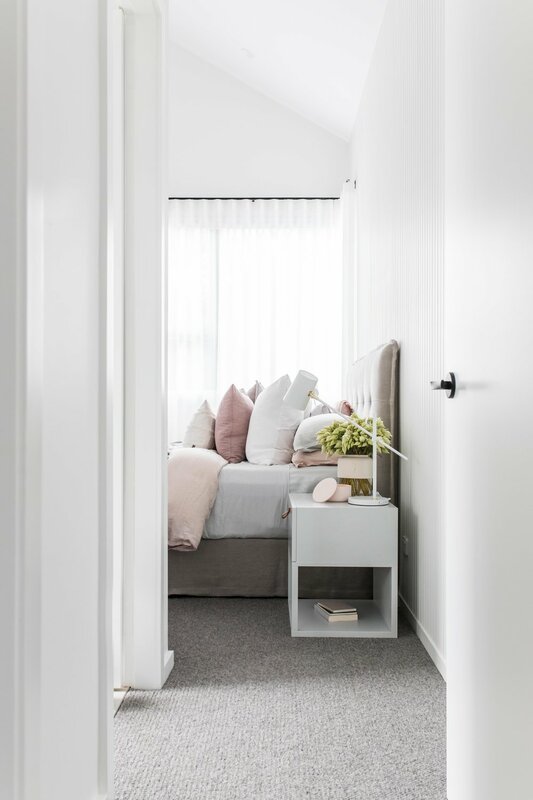 A huge advantage of SDN is that you can have a great range of colours that don't fade, in beautiful on-trend tones from pastels to brights to subtle neutrals and blacks. Wool is traditionally the prestige carpet renowned for its premium luxury. It can be mixed with other fibres, or be pure wool from 100% natural fibre. It can also be undyed making it a carpet in its most pure form. Wool is extremely hard wearing and will last for generations. It does require however, a more care than other man made fibres. It's important to look for premium wool carpets that have wear and insect resistance. If someone is trying to save money on carpet for their home, would you recommend wool or SDN carpet? Wool is a premium, luxury carpet - and demands a premium price. However, if a family is looking for a less expensive option, SDN and some other man-made fibres are great value for money. Signature's Cashmere Touch® is a great family and pet friendly carpet that is incredibly soft and available in a lovely range of colours and comes with a ColourGard® treatment. Cashmere Touch® ranges in price from mid to prestige. We have a house full of children and animals, what type of carpet would you recommend? Definitely select a Cashmere Touch® or LuxCloud™ carpet, which gives you the best of both worlds. Incredibly soft and luxurious, Cashmere Touch® will withstand everything your family can throw at it. Stain resistant, hard wearing and colour safe, it's child and pet friendly as well as being from 50% of the price of premium wools. LuxCloud™ SDN is ideal for kids and pets too - offering a new benchmark in softness and performance. It's just my husband and I and we really want to splurge on something amazing, what would you recommend? Premium European wool carpets add luxury and prestige to your home. Without the worry of kids and pets, wool is the optimum choice for a natural fibre. At the top end of Cashmere Touch® carpets, you can have a truly luxurious 85oz dense, soft luscious carpet that is closer to the price of wool, but with the performance advantages of man made fibres. And you can get much more varied and vibrant colours in Cashmere Touch® too. LuxCloud™ Arelia Signature carpet is the most beautiful of SDN's available on the market, and will add prestige and value to your home. It is important to speak with our suppliers so we know what to think of when selecting our carpet however we can't forget what to look out for when it comes to installation day and care and maintenance of your carpet! We were lucky enough to chat to a carpet installer who gave us the top tips and tricks of the trade! + When working our the layout or direction of your carpet, try to have your hallway installed without joins. Discuss with your supplier where your joins will fall as natural light will always make your joins stand out. If joins are something that bother you, opt for a twist pile or cut pile carpet as they tend to join better than textured or loop piles. + If you have the option to install new skirtings then install them 10mm off the floor so the carpet looks like it flows underneath rather than turning down the edges of the carpet. + Don’t skimp on underlay, this is what will make your carpet feel luxurious. A cheap underlay installed under expensive carpet will always disappoint. A mid to high range underlay under affordable carpet will never disappoint. + Consider timber ramps under the carpet near bathrooms and kitchens to eliminate kicking your toes! + When deciding on carpet versus a timber stair case, kind in mind that the carpet on your stairs will be the first place that it wears out due to high traffic use. + Ask your carpet layer to use a mini stretcher or power stretcher to help ensure your carpet is tensioned properly to eliminate future bubbles. + If you have a small squeak in your floor, fix it before you lay your new carpet because the new underlay will not get rid of it! + No. 1 Tip!!! Use a vacuum without a turbo/spinning brush on it and this will leave your carpet looking newer for longer. Turbo brushes matt the carpet pile and fluff wool carpets. + If you have a cat or young children, be careful if you are considering choosing a loop pile because threads can be pulled by claws or small toys and they are hard to repair.